Outside is all gloomy and wet – a great opportunity to spend time in the kitchen to keep yourselves toasty and warm. Here is a Easter recipe that does not include chocolate! Easter biscuits are a traditional West Country treat that are given out on Easter Sunday as a gift to friends and relatives. 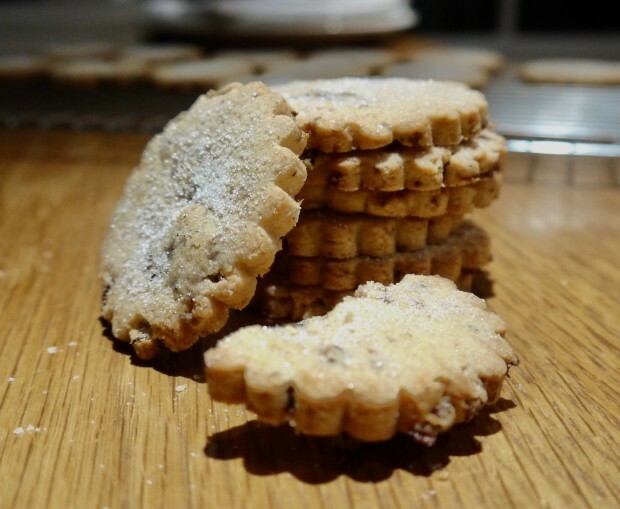 They are a lightly spiced currant studded, round biscuit dusted with sugar. Some people decorate them with coloured icing but I prefer them left as they are.